Living Expression Landscapes is a family-owned, full-service residential and commercial landscaping company located near The Woodlands, Texas. 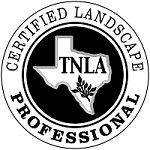 We provide services above and beyond the scope of typical landscaping companies from the north Houston area to Lake Conroe since 1995. Our experienced staff can meet all of your landscape needs... from both landscape and hardscape design and installation, to horticulture advice, to irrigation and drainage solutions, to outdoor lighting, to water features, and beyond. Transforming your landscape into a personalized and inviting outdoor living space is what we do best! Our landscapes are always custom designed to meet your needs. Meticulous attention to detail is always given to everything from plant selection (with an emphasis on native, sustainable plants) to finding the perfect statuary. We maintain a company-wide commitment to on-going education and training. We believe it's crucial that every element fits your taste and lifestyle, while enhancing your outdoor experience and existing architecture. All of our clients, no matter how small or big the job, are given the same high quality service. "We have received so many compliments on our landscaping and design. Our neighbors, with the gardening credentials, have praised the choice of plants and flowering shrubs, and have been equally enthusiastic about the layout of the plantings... We are thrilled! When we decided to do some significant landscaping, it was not to repeat our earlier mistakes. We had used landscapers with no accreditation... To discover that the shrubs and flowers selected were poor choices for the locations due to size and water needs, and that they were inadequately planted was a shock. In talking with the next round of landscaping companies, we got the impression that they were more interested in us buying a standard package of plants and design, not to mention additional services we did not want to purchase. Your landscaping company was a wonderful discovery... The design was cost effective and could be done in stages, and the results have been outstanding. The professional attention of your staff to our landscaping has resulted in significantly better drainage, healthier plants and maintainable yard work. Your crews arrived on time, worked on a schedule and cleaned up after themselves. And they were incredibly polite and professional. Your personal attention, as the company president, to our project certainly guaranteed a successful outcome... Thank you so much for how great our front and back yards look. And many thanks for teaching us that landscaping does not have to be standard or boring." - Kirk and Lydia M.
"We sought out Mary Lenzi after seeing a large bed she had done for a friend of ours. Her design using so many different flowers, plants and herbs with all their different shapes, textures, scents and colors was what impressed us. Plus her use of 'natural' plantings and materials which didn't require much maintenance. We wanted something that would be interesting all year round... Mary and her crews recently completed a landscaping project in our back yard which included rebuilding old flower beds, designing new beds, installing a sprinkler system, trimming existing plants and planting new ones, selecting and installing garden sculpture, creating walking paths and seating areas, and lighting the finished product... In addition to doing a terrific job which exceeded all of our expectations, we have found Mary and her 'mighty men' to be a joy. They worked hard, did what they said they were going to do when they said they would do it, enlisted our input at the appropriate times and cleaned up after they were through each day. We look forward to having Mary around when we need her to remind us of what we need to do to keep our beautiful yard in shape." - Pam & Clay D.
"Just visited your new home on the web...Pics showing the progressive development of the pond are a terrific idea. I think it's especially comforting for prospective clients to see that a work in progress over the course of months or even a year doesn't look naked or even unfinished. Another great idea is using photos of small spaces. Daresay there are several of those in the immediate area. Of course, I know from personal experience what a lovely, park-like setting you're able to create in a yard no bigger than a postage stamp... Meanwhile, know that I am definitely one of your very satisfied clients. My neighbors still cheer the day you set to work on landscaping our little piece of The Woodlands. When we first met, you recognized that, while I had a clear concept of what needed to be accomplished with front yard landscaping, we had only the vaguest notion of what would work for us in the backyard. You asked all the right questions, had ready suggestions when I asked questions, and developed a back garden that gets better every year. Better still, you've continued to work with us to perfect our vision of having a mini-park for a backyard and a front yard that's lovely year around. Your attention to detail and love for your work make dealing with you a delight." - Kelli O. In puppy classes we spend a lot of time discussing how one of the ways that our dogs learn is by association. Anything the pup is a bit nervous about, if you associate it with good stuff, food, toys anything the pup loves, you can quickly change a puppy's mind about the thing being scary to it being the best thing ever! My new puppy, Rizzo, has never loved the sound of wheelbarrows and a bunch of people moving around in the front yard with shovels and blowers. She's getting better with them, but we're not quite there yet. So I started out by taking her sister out for a little bit of moral support and the lawn people somehow made pill pockets appear, imagine that!!! But, the very best thing that they brought with them is a giant pile of smelly stuff to dig in!!!! I think this made her a forever fan of our lawn crew, I hope she's not too disappointed if they don't bring a truck load of that with them every month!!! This is also a good reminder about how "good stuff" needs to be what our pups think is the best ever, not what we think should be the best ever! I think a huge pile of mulch just made it to the top of her Christmas wish list!!! After this fun adventure she got a reminder about how a bathtub somehow makes peanut butter grow out of it (lol)!!! Thank-you Living Expression Landscapes for accommodating my pup! - Debbie O.